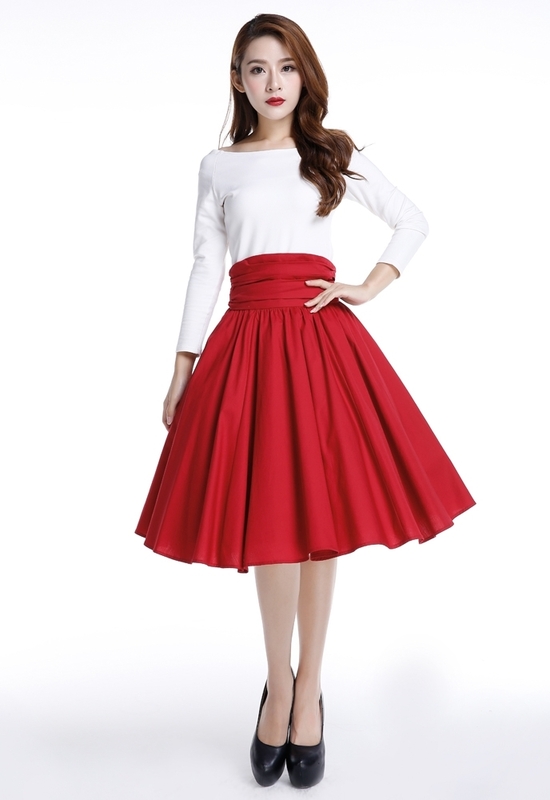 This full skirt features a high and curved ruched waist. There are hidden side seam pockets on each side. The skirt zips center back. The petticoat is not included. Standard size approx. length: 27 inches; Plus size approx. length: 28 inches.